Practicing Caste attempts a fundamental break from the tradition of caste studies, showing the limits of the historical, sociological, political, and moral categories through which it has usually been discussed. 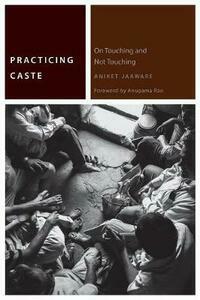 Engaging with the resources phenomenology, structuralism, and poststructuralism offer to our thinking of the body, Jaaware helps to illuminate the ethical relations that caste entails, especially around its injunctions concerning touching. The resulting insights offer new ways of thinking about sociality that are pertinent not only to India but also to thinking the common on a planetary basis.